A time to plant or a time to kill? 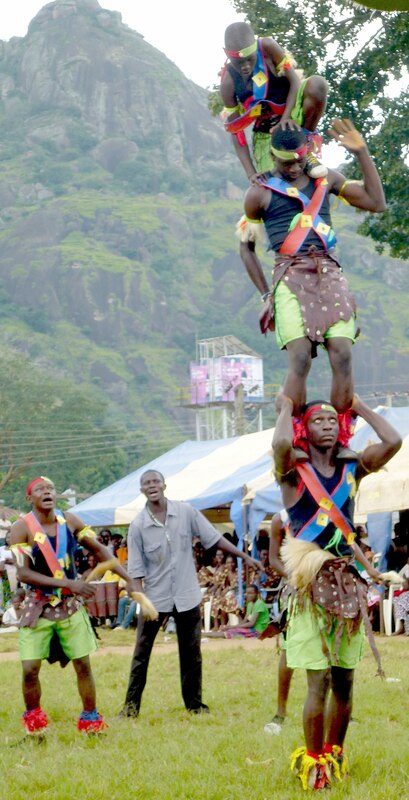 Human tower at the Gworog traditional festival 2014: Writing Gworog can be rather precarious too! It’s been a while since I wrote anything about the Gworog project. That’s largely because the project has faced personnel management issues and then a funding crisis, and then technical problems and they just haven’t had much for me to work on. I’ve also been pretty busy. But yesterday I had a (nother) meeting with the Gworog translation coordinator and 3 other linguists and literacy people to help come up with a plan for a really necessary meeting. Perhaps to you “Community Orthography Consensus Meeting” doesn’t necessarily sound like the world’s most exciting knees-up but it could really be a matter of life and death.